There are books that leave you feeling breathless, then there are the ones that leave you feeling overwhelmed. The ones that leaves you restless like a thought that has come to a halt after reaching a point of realization and words that die on your lips. Golden left me feeling all three of these and more. So much more. A 'love and a question. 'Each chapter begins with a line from a poem, the words just enough to travel inside the words written on the page. The beautiful, beautiful words which made me fall in love with the book. I've always been attached to words. Silence is something which will always be something you put in a corner and pick it up from time to time. But words, words are alive, the center of the being. Especially written words because they're a mixture of silence and sound. The words of Julliana Farnetti.Parker Frost is someone I could've been a few years back if I haven't gathered my bearings and took a stand to study something in life that I wanted to instead of just driving myself crazy in order to become a doctor. It's just something I thought I needed to become so I completely understand the choices she makes and why.However, Parker is one of those who needs proof they can see and feel before they can believe in something. It is stupid yes, but for certain things in life, it's all you need. A shock, a trigger, a flash and belief is there. Just like Kat's believe in carpe diem. Kat, the one I admire so much. She's one of those people who make you realize that it's okay not to be perfect and do your own thing. A reminder like that never hurts because really, it is all about seizing the day which cannot be done if we're acting on choices others make for us.In between Parker's hesitation and Kat's boldness in life, Trevor Collins proved to be awesome. Really, there is no other word to describe him. His words are full of smiles and are true to the core. He's substantial and real and yin to Parker's yang. 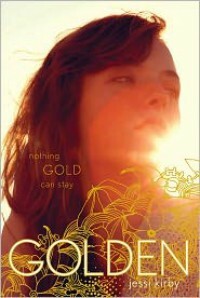 Chasing after the mystery of the love that was, it's beautiful to read about the love that could be.Golden is one of those books that do more than just tell a story. They change something inside of you. As I read Golden, I was reminded that poems are essential in life. They're the fire and ice of words in life. And in the end, 'nothing gold can stay.' But y'know what? I'm glad the words of Golden will forever stay inside me. I went into Everneath with a very particular mindset: I wasn't expecting anything extraordinary. I added it on my to-read list because of the mythology aspect as the story of Persephone and Hades is so intriguing. However, Everneath surprised me. A lot. Brodi Ashton captured the essence of the characters perfectly. I could feel the emotions that made Nikki go over the edge. I could feel Jake's hurt and I just couldn't bring myself to hate Cole.At the beginning of Everneath, Nikki is waking up after lying in an uncomfortable position for a long time. She doesn't want to let go yet a face is compelling her to. It made me curious. I like reading books where the main character's fate is already written and the story is really a story of accepting that fate. Redemption, regret and the desire to make everything right drove Nikki. The core of Everneath is what humans go through: realizing the value of something after it's gone.Nikki is a complex character from the very beginning. Life has been tragic for her and she had to get away. The backstory is told in pieces; what happened in the past is synced with what's happening in Nikki's life now. It provided a refreshing perspective on how Nikki's life took such a sharp turn. From having a whole life to feeling empty of emotions. I just felt that more focus should've been put on Nikki's best friend, Jules.Jack is the one who got left behind. He acts pretty normal when he sees Nikki after six months. He went through a hard time when Nikki disappeared but Nikki doesn't know that. Their relationship dynamic is done so beautifully by Brodi Ashton: there are questions, there's hurt, there's love but there's also patience. The true love of Eurydice and Orpheus shines through in Everneath.Cole is as dark and hell bent on convincing as they come but he isn't broody. He has accepted the sacrifice of humans in order for the Everlivings to survive which is where Nikki disagrees with him. I understood where he was coming from and how he tried to stop Nikki from spiraling into the Everneath with him in the beginning. So I know he's just looking out for himself. However, I could feel his defences lowering when it came to Nikki. He's deep that way.Everneath is beautiful. The writing sucked me in, all the emotions in the book overwhelmed me and the characters felt real. The character of Mary was perfect the way it was and she added a little more substance to the essence of Everneath. A fantastic start to a series! 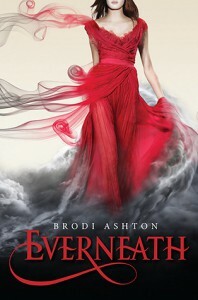 Brodi Ashton weaved a perfect modern day mythological story. I'm glad to have read it. More, please. 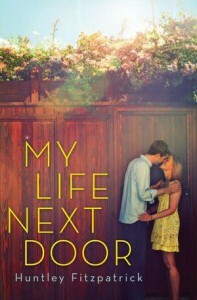 My Life Next Door is one-of-a-kind read of 2013 for me. No, not because it's outstanding or extraordinary but because I went through the phase commonly known as everyone-loves-the-book-I-just-can't-see-why. There were just too many factors at play and I was irked by almost all of them. I went into My Life Next Door thinking that I'd be awed by the characters, their story and of course, the Garretts. I wanted to admire Samantha and swoon over Jase. But as it turned out, for me, the story lacked the punch to blow my mind away. Samantha Reed is a not-so-typical girl living in a not-so-typical neighborhood which could only be because of the loud and large family of Garretts. Having always been lived in a small family consisting of a mother who's too busy trying to advance her career in politics and an elder sister Tracy, who's too busy with her life. Samantha feels alone. Yes, she had Tim as a best friend once but his habit and an uncaring attitude towards her drowned that friendship. Samantha did almost nothing to save it despite feeling as if she should have at least tried. Then she found a best friend in Tim's sister, Nana. Nana the ambitious one. It always comes back to bite you, doesn't it? Samantha's summer days are going to be more dull than ever because of her mother's constant lectures on how to fill her days working, Tracy leaving for her last-summer-before-college experience, Nana being too busy with her boyfriend and finally, the new man in her mother's life, Clay Tucker. The name begs for some attention and instant suspicions sprout in her mind. Samantha accepts all this because she lacks courage to stand up and speak for herself to the point of being a pushover. Sometimes it seemed that she used to watch the Garretts just to spite her mother secretly. There had to be some solid issues than a parent just driving you to work harder for her to actually speak up on the said issues. So she continues her habit of watching the Garretts from the trellis outside her bedroom window. But this is the summer everything changes. Jase Garrett is literally the boy next door; he's gorgeous, caring and loving. But I wasn't blown away by his words and I couldn't figure out why he was interested in 'a girl with a trust fund.' You know there's going to be some serious complications. I was honestly more interested in the eldest Garrett, biker Joel. What I did like about Jase though, was the way he really cared for his family. Alice always found a reason to whine about babysitting and what not but Jase's feelings about his siblings are genuine. The guy really has no flaws and I admired the way Huntley Fitzpatrick portrayed the budding relationship of Jase and Samantha. Out of the Garretts, George Garrett is the best part of My Life Next Door. His curious questions is what made me enjoy this book as much as I did. Honestly, he'd be the sole reason for me reading the sequel. But there is another reason: Tim. He's raw and actually tries to improve himself. These two are the reason I liked My Life Next Door as much as I did. Nana seemed like a bad news to me early on and I hated how that dealt with. Alice had quite a spunky attitude which I liked a lot. Mrs. Garrett is another character that I admired. However, the involvement of her mother and Clay Tucker with the Garretts just seemed fake to me. The whole thing could be realistic but the way they were handled is most certainly not. It bothered me to see how Samantha reacted to a very grave situation, I so wanted to shake some sense into her. Yeah, I understand her desire for love and attention which were so easily attained when the Garretts were around. She clearly suffered under her disguise of being the responsible and sensible child and I could see the appeal of living life the Garretts way. They didn't stop their children from pursuing whatever they wanted to, they gave their children the freedom. So yes, she belonged more in the Garretts household than she ever did in her home. I liked that part, it's the drama that really put me off. In the end, all the characters made up for the conveniently dramatic storyline in the book. Sometimes it's just hard to genuinely connect with a book and sadly, this was one of those times. Just One Day killed me, plain and simple. It is one of those books that I'd take with me if I were to be stranded on an island. Each chapter is a beauty in itself; a little push towards self-discovery, a dabble in what it means to go through utter desperation, to come down from a high and still not be over it, to be so determined towards that one goal that it ultimately makes you who you are. God, I don't think I can ever get over this book.The beginning of Just One Day is conspicuously normal with Allyson nearing the end of her epic Europe tour full of sights, sounds and of course, Culture! The only exciting thing is the bob haircut Melanie, her best friend, forced her to get. There is no doubt that Allyson is as adventure-averse as they come. She is what I'd call 'trained to function'; doing things just because, not really thinking, keeping her annoyance to herself. In short, not really living life. I, for the life of me, couldn't understand just how Allyson would change.Suddenly, through sheer impulsiveness, Allyson becomes Lulu and the stage is set. There is just something dreamy and far off about travelling in a city like Paris with a stranger by your side that appeals to every cell inside Allyson's body (and mine). You get to be whoever you are and that is exactly what Allyson does. She lets go and with Willem by her side, discovers how the other half lives. The doers who do things rather than just watching them.Willem is a character that is pretty hard to forget about. He's Dutch through and through which shows with his love for canals, in his way of speaking and the striking differences between him and Allyson. He's mysterious and so very unpredictable that I kept expecting him to vanish more than Allyson did. When he spoke about being stained I just about died and went to heaven. He has that air around him, something akin to wanderlust, that makes him go places. He's likely to find contentment in some far off wilderness than civilization.Allyson's impulsiveness hit close to home because I could feel the exact moment her heart shifted gears, her mouth took over her mind and spoke for her. Impulsiveness has consequences and Allyson knows that because of her thought processes throughout their day in Paris. But that's the beauty of impulsive decisions, being aware deep down that it's going to end up in a big mess yet going forward because it's worth the hurt. And it was. Eventually, it was. She could see it and I admired her for it.However, when the day is over and reality kicks in, I could imagine Allyson detaching herself and coming to a few realizations because of that impulsiveness. As once you've imagined the high and taken the plunge, it's difficult to go back completely. The rest of her just had to follow through instead. And it did when things swayed between her and Melissa, when her roommates kept their distance, when her grades got bad, when she enrolled in a set of classes I couldn't see her ever enrolling in, when she met Dee, when she delivered that dialogue, when she started worked for Babs, when she had the talk with her mother and finally, when she came to the decision to get rid of her misery once and for all.Just One Day is perfect as it is. The imagery is created in such a way that I could feel the heaviness and itchiness of the gold watch on her wrist. I felt my heart pounding when Allyson and Willem run for their life across the streets of Paris (one more thing to do when I go visit Paris, by the way). I felt the struggle inside me when I read about Allyson's struggles. It's a beautiful thing really, when the writing is so beautiful it never fails to evoke mental imagery and emotions that overwhelm you long after the last page has been turned.Each and every thing that happens to Allyson and each and every character that touches her life one way or the other is there for a purpose. It is teary and it is exhilarating but in the end, it is what it is and it is what makes Allyson embrace herself. Change, like Allyson said, felt right. 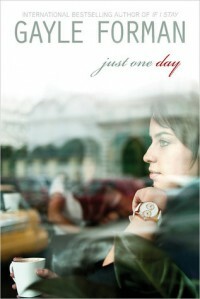 Just One Day is a book that will always, always stay with me and for that, I'm thankful to Gayle Forman. 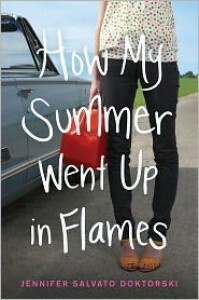 I had been looking forward to reading How My Summer Went Up in Flames ever since I saw that it screamed road trip. The blurb promised a fun, quirky story of an impulsive Rosie who might have a bit of a problem letting go of her ex. 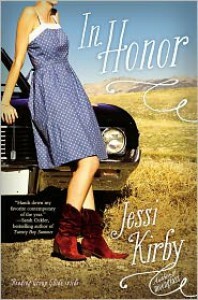 But it also turned out to be one of those books that made me cringe at Rosie and made me roll my eyes. That's not to say I didn't like the book but honestly, it was going all over the place and not in a good way.Jealousy ignited (pun intended) Rosie to burn all the memories of her relationship with her cheating ex-boyfriend in his porch and in front of him. Unfortunately, it all goes horribly wrong and the flame ends up lighting his car on fire. Joey retaliates with a temporary restraining order and a few other (pretty embarrassing) charges. He's basically is just out to ruin her life, legally. It's one thing to be heartbroken, sad and see your ex dating the person who he cheated her on with but it's another when the cause is also putting her in jail. However, Rosie thinks that if she could just talk to Joey, he'd understand why she did what she did. She's impulsive, remember? On top of that, despite the TRO, she manages to text him to meet her. Clearly, Rosie needs to be distanced from the situation until the court date arrives. The solution comes in the form of Matty, her childhood friend and Matty's friend Spencer who're taking a nine day road trip across America to drop Spencer's brother, Logan, in the University of Arizona.This is where the trouble begins. From early on, Logan is the designated driver and a douchebag which Rosie clearly had had enough of. Matty and Spencer are pretty laid back and trying to make the best out of the trip. They have their ups and downs with Rosie while on the road which are inevitable. What's irksome however, is the romance. Yes, it's a road trip so there's bound to be some romantic feelings but to have them for all the three boys considering one of them is like a brother to Rosie is just too much. I seriously had no idea who was Rosie going to end up with and I really didn't care after a certain point. She just broke up and her heart is still set on Joey deep down; but she still manages to kind of mess around with three boys? Wow.Impulsiveness is not always stupid but in Rosie's case it almost always is was which is annoying because I'm impulsive and it's nothing like that until you make it so. So while I did connect with Rosie, I also didn't. She's constantly ruining the trip for the others because of her bad mood and unwillingness to go on the trip in the first place. I really wanted to shake up Rosie, show her a bridge and tell her to get over it.However, there are some parts of the book that I absolutely loved and I understood that Rosie needed the time to come to her senses but it's easy to forget that when she's constantly thinking of bailing out on the trip. I loved the Grand Canyon part of the trip, the way she talked to her dog on the phone and the horses part. I connected with Rosie when she transformed into a feisty, fun person. The guys were so cool once they got over the initial rudeness in case of Logan.In all, How My Summer Went Up in Flames is not a story that stands out and it didn't make me feel much. Others might not find Rosie and her attitude as bothersome as I did but the plot didn't completely blow. For the most part, it's a story about a girl getting over a relationship through a cross-country road trip which is a fun concept but it wasn't executed well enough to make me feel that it's an awesome book. However, I do look forward to reading more by Jennifer Salvato Doktorski. The Distance Between Us is the antidote to all the YA paranormal I've been gorging on lately. I love paranormal but I'm mostly a contemporary girl. Besides, paranormal was making it so hard for me to find a good contemporary to read. It's addictive! *shrugs* The solution? Read books written by authors of my favorite books but from the contemporary genre. So I had to read The Distance Between Us and fast.Not even a line into the book and the guy is introduced. I was like whoa, this is exciting and definitely refreshing from the I-am-this-I-do-that-and-then-I-met-him routine. Not that that's bad but this was way different. I hadn't even finished reading the first page and I got the feeling that this book was going to be awesome. Now isn't that just the sweetest?Caymen. Where do I start with Caymen? I always love me a sarcastic main character and Caymen has perfected that to a tee. But that's not it, Kasie West isn't the one to make up a character and not make them grow up throughout the book. While Caymen's thoughts are very (extremely?) sarcastic, blunt and hilarious; her behavior and dry humor around other people is pretty nonchalant. She's always on the verge of saying something awkward/inappropriate in public so has to amuse herself by just thinking it. I totally get that! It happens with me all the time. Also, she got some serious competition with Bianca from The DUFF. I can't even decide who I love more.Y'know the guys who're always so serious but when they talk, you want them to talk more as they're so interesting (and charming!) and then when they smile, their whole face changes. And you want them to take a sip from your drink before handing it over to you? That's how Xander is. Never once did I get angry at him (okay, I did once but that's been sorted out). He exudes such gentlemanliness despite being so young, solemn and filthy rich. He has his flaws though (he likes to beckon) but they're not damaging in the serious sense. Rather in the need-to-learn--to-do-this-and-not-that sense.There are highs and lows in Caymen's life like everybody else's but it's about how she deals with them. She never once made me sorry for her, didn't whine and kept her complaints to herself. If anything, working in at Dolls and More only made her that much more interesting even if she had to cut back on her social life so much. And while Xander makes her life more open, Caymen knows not to get too close to him but only the dolls (see, dry humor). Gah, I was smiling so much while reading this book! The dialogue between Caymen and Xander is out of this world and ridiculously funny.Also, can I just say that I love all the characters in this book? Because I totally do! (There is just one that is annoying, though). Mrs Dalton's so adorable and Sean ha, he is awesome! And I should totally mention Skye, she's an awesome BFF and her personality shines throughout the book. The inclusion of Henry and Tic also made The Distance Between Us a very interesting read. This book has everything and is a perfect summer book. Everyone, go read this book now! 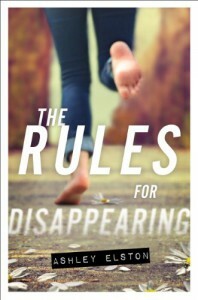 Mystery always pull me in so it's no surprise that I wanted to read The Rules for Disappearing. It's like a book about multiple personality disorder without the actual disorder. It makes me think and think hard about life on the run. It isn't always glamorous. It isn't always oh-so-cool. The reality hit me hard and I left me on the floor gaping.There is irony in the way each chapter begins with a rule, the rule Meg simultaneously breaks. I felt her pain and I kept thinking why did Ashley Elston chose a rural town for all hell to break loose? Why did it took six identity changes for Meg to finally hit rock bottom, emotionally and physically? These questions kept me going.It's clear from the narrative that life as Meg is as far and opposite from her original life as it could be. Nondescript clothing, hair that makes her look like a boy, dull brown eyes and riding in a school bus as a senior is almost too much to bear. And it doesn't help that she meets Ethan Landry in her first moments on the first day of school. The new-girl-in-the-middle-of-school-year is bound to attract attention and she does attract attention. Of the most popular girl in high school (as popular as one can get in Natchitoses anyway).For most part of the book, Meg is at the edge of her nerves and it shows. Her mother is an alcoholic, her father is being way too mysterious and acting suspiciously and Teeny is on the verge of break at only eleven years of age. It seems Meg is the only one keeping it together. Or at least the one trying the hardest.But I was waiting for a twist to arrive, a hand to pull back the curtain on the mystery a little bit. So I was a little disappointed when it came in the form of a nightmare on Meg's part. Clichéd. Then she gets paranoid by thinking that someone is out to get her. And oh, she also owns a notebook in which she writes her thoughts and feelings.Meg knows that the only way out is to go back to the beginning and then it gets crazy. We did get glimpses of her past life, her crush and her BFF betrayal throughout the book but the reality is pretty twisted. I got to say, I was not expecting that kind of a mystery at all. But it wasn't the ohmiGod-is-this-really-happening kind of a mystery at all, it was more low-key and oh-so-that-was-what-we-were-getting-at one. The book also has a little road trip which made my heart soar a little bit. So yay for that.Ethan is a sweet farm boy and I liked how he kept coming in the pizza place where Meg took a job. They have a hot-and-cold thing going on because Meg knows that getting attached only leads to hurt and Ethan has no idea what he is getting into. Teeny is a great character, I loved the sisterly relationship she has with Meg.Overall, The Rules for Disappearing is a dynamic read. 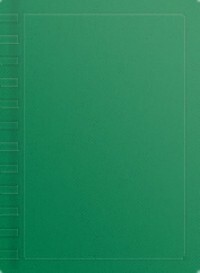 I'd still recommend it to readers because it offers a good character development, well-placed plot and is a quick read. It'd be interesting to see how the series proceed now that we finally know her real name and the mystery. What I'd like to say to Dirty Little Secret is perfectly worded by Avril Lavigne, "Why do you have to go and make things so complicated?" I struggled with rating this book because frankly, where it lacked in depth in the first half, it definitely more than made up for it before the end. And that wasn't even an issue when I started reading the book. 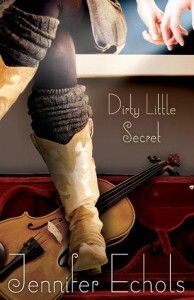 The beginning of Dirty Little Secret was... boring. I honestly didn't care for Bailey dressing up and playing her fiddle in tribute groups. But then she meets Sam at the mall, plays with him and he zones in on her. Now Bailey has to make a difficult decision, would she risk being seen as the loser sister of a rising star at a gig or cast her eyes down and carry on? This is when I saw life in Bailey and I was finally into the story.Bailey accepts the gig because let's face it, spending time at home playing the fiddle endlessly with her grandfather hovering, who wants that? She made a perfect rebel with bold fashion sense, asymmetrical hair, red lips and boots-to-die-for, but she couldn't go on with it. Same gave her the out and she took it.But the infamously titled Sam Hardiman's band is trouble from the start. Oh who am I kidding, Charlotte is hate-worthy. Given that the drummer had a thing for Sam and is still okay with being not okay with whoever Sam dates. Because you see, Sam likes Bailey. But does he like her because she gives the oomph factor to the band or because she is talented?Sam started out as a pretty normal guy and then he became persuasive as hell and who'd have guessed from that that he was pretty messed up from the inside. So while I was out admiring his ability to make everyone do what he wants to do, I was also in the state where I just wanted to quietly strangle him.But then Sam said, "I like doing things that make me uncomfortable. I try not to have a comfort zone" and everything was perfectly clear. After going through a hard family life and counselling, you have to admire the guy. And Bailey does. Their conversation is beautiful and where Sam is trying to make up for the lack of channeling his emotions, Bailey is trying to get away from them by writing them down into songs.I understood Bailey because even though she got treated horribly by her family, she didn't give up on them. And I understood Sam because he wanted to not be like his father and wind up a loser. So they perform gigs together, discover each other, fight and then it all ends (not necessarily in that order). It was a moment of holding-my-breath-reading where you don't know what'll happen and how it'll all go down. It is a difficult feat to achieve but I was going through it so Echols did achieve it.Dirty Little Secret more than surprised me and made me feel despite the rocky start. People who like to read music-themed YA must read this. You'll smile, go argh, get shocked and definitely swoon. Focus begins a little after the events of Flight as Allie and Hailey are settling in Tulane as freshmen. It felt good to be treated to Allie's feistiness again and see her stand up for herself. However, as normal as she'd like her college life to be, it isn't surprising to see Hailey, Owen, Jared and even Levi accompanying her to classes. At first Allie thinks it's just a Pterons thing but things are much more serious than Levi let on.As Allie is transitioning into her college and dorm life and making new friends, Levi is hard at work trying to make up to her. But Allie's indecisiveness is as apparent as it was in Flight. It's actually relieving to know where it's coming from because we know it's not that Allie doesn't want to be with Levi. She needs time and Levi respects that even though he keeps trying.What I really like about Focus is how Levi and Allie work on their relationship. As a reader, you get that they belong with each other but it's not easy to guess how they're going to work out the kinks. It's obvious that Levi is a control freak and possessive as hell. But then Allie is hotheaded and stubborn like anything. So it gets really interesting to read about the sexual tension as well as their little arguments.Focus gives more insight into the secondary characters as well and it felt good to know more about Jared and Owen. Allie's and Hailey's friendship also deepens more but I was sad when Jess didn't make much of an appearance. However, it is understandable because both of them have started college in different states. Allie knows she's in for good but is having a hard time as any so she immerses herself in her study. Allie also attends a few meetings of The Society and gets to see more of the hierarchy, even though she doesn't truly understand its dynamics or her role in it.Focus moved at a regular pace; though at times I found myself wishing that things would get more exciting somehow. It isn't that there isn't much action, but it has more to do with the fact that even though there is an underlying buzz that Pterons are being threatened; it's more of the same. Though I will admit, Focus is much hotter than I was expecting it to be. There's a lot of teasing going on and we get to see a sexier side of Allie, too. Focus ends in a much similar way to Flight meaning pretty unexpectedly but it left me wanting more because it was a pretty unpredictable end. Found has to be an earth-shattering end to a remarkable series. I look forward to reading it! It's been a long time since I last picked up an adult contemporary romance so when I came across Sweet On You, it sounded just what I needed to get back into the genre. And it was. Sweet On You begins with Danielle who is all but had it with her choice of career. She might have been the best at being a pastry chef but lately, it's been all work. She's had enough of people treating her more like a pastry chef and less like a person.Call it a pre-midlife crisis or call it a change of heart, Danielle knows she won't be ever going back to her former glamorous life once she spots a kid giving her sister a teddy bear from the trash bin. She's never known life on the other side of the tracks but she does know she needs to feed the homeless kids. And maybe buy the building they're living in so that she could turn it in a soup kitchen. It sounds perfect. However, that's where Nico comes in, he's had his sights set on the building just so he could buy and have it demolished in order to fulfill the promise he made to his brother. Thus, starts a battle between Danielle and Nico.Despite what started as a surprising first chance meeting, the instant attraction and the heavy flirtation kind of felt off. Still, it was easier to see how Danielle and Nico fit together and hot to read about. I could see where both of them were coming from and it was easy to predict how it would all end, but it was fun reading about it. Sweet On You is definitely all it promised to be, sugary, spicy and naughty.Even though I wasn't expecting Danielle's assistant Marley to have a story of her own, it was nice reading it. It definitely gave a much clearer insight inside the world of Danielle. What I really liked about Sweet On You is how much Danielle and Marley grow in just over a hundred pages. The pace is fast and the chapters are arranged in multiple perspectives of Nico, Danielle and Marley. It's refreshing to read them because you get the know-how of what's everyone thinking and doing but it also leaves space for the reader to be left guessing a little.Sweet On You is the sixth book in the Laurel Heights series but it can be read as a stand alone. I would totally recommend it as a light read which can be finished in a single sitting. A guilty pleasure read, if you must. I would definitely be reading more from Kate Perry and I think I can guess who the next book in the series will be about. Fractures Soul begins with Llona's first day at Lucent Academy and even though there's only a slight chance of things getting back to normal, Llona knows her life wouldn't ever be the same. Her plan is simple: to learn more about the nature and history of Aura, hone her abilities and get out of world the Auras has chosen to live in. However, she is yet unknown to the danger that threatens to wipe out Auras and it seems that trouble has followed Llona inside the protected walls of The Lucent Academy. The stakes are higher especially when the ones responsible for the safety of Auras are willing to sacrifice it for personal gains. Llona has her own demons to deal with as darkness calls to her, a hunger lodged deep inside her and the smell of blood everywhere. It is no surprise when Llona plans to sneak out at night unable to get rid of her nightmares.Llona craves destruction and her need to get rid of the energy buzzing inside of her leads her to Vykens present close to Lucent. Llona fights the blood battles despite warnings from Jackson, a Guardian. Christian also arrives but Sophia is against their relationship and makes it clear so. Despite the dangerous ground she is treading upon with him, Llona knows he means too much to her to lose him. Thus, she eventually takes Liam's offer to help the light within her come to life again. Rebellious as ever, Llona has to overcome the difficulties she is faced with. Fractured Soul fits perfectly to Llona's state in this book as she tethers on the edge of darkness. Threats are given, secrets revealed and hearts are broken as it becomes clear that something big is going on. With the help of Christian, Liam, Tessa and May, Llona sets out to fight the danger, loving the thrill it offers to a showdown and another life-changing moment in Llona's life. Will she ever find salvation and come to peace with herself? Fractured Soul shows a new side of Llona, but she is consistent with her rebellious streak which is what I love about her. This is one tough nut to break. 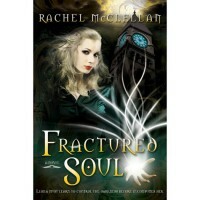 Fractured Soul is a very satisfying continuation of the series and I'm more than looking forward to how it will end. Three cheers to Rachel McClellan for crafting a yet another brilliant story. Shift follows the events that occurred in Defy as the back story but it focuses on Sophia and Quincy as the protagonists. I looked forward to reading Sophia's story because she is different in appearance and abilities from the rest of her class due to her different DNA. 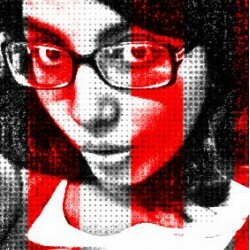 Thus, it is curious to see how she sees herself and how she copes with the fact that she is different. Where Tate is defiant, free-spirited and stubborn, Sophia's personality shines through her intellect and her ability to reason. However, this also makes her prone to come to wrong conclusions when it comes to the matters of heart and Quincy.Quincy has been staying with the family to oversee the pregnancies of the Saraquel daughters as he is an obstetrician. However, Saraquel was his best friend and he is considered like family to them. His feelings for Sophia extend far beyond the love one has for family and it seems everyone is aware of it except Sophia herself. This is also true for Sophie. It is interesting to see two people apparently so in love with each other trying to hide behind the shadow of masked emotions. Both of them are convinced that the other cannot stand the site of them.But when Quincy has to recount the events that led to Saraquel's death, Sophia sees that he has no one to comfort him. This leads to an intervention where Sophia ends up blurting out her thoughts out loud. Quincy immediately sees the error of his way but the plans of Eirik and Metis stands in the way. Sophia also has to fully embrace her ability to shift and it is very interesting to see her change in that way.The relationship of Tate and Zachariah also feature in Shift and it is good to read about their relationship and read more about the background of Zachariah. A big event occurs in Shift which changes their relationship forever and I didn't see it coming at all.Shift gives a deeper insight into the evil plan introduced in Defy. For the Mercesti to become an Elder, the help of abilities Ariana and Tate have are required. Hence, it becomes a race against time as the Elders seek to get to the scroll before Eirik can and this ensues much of the action in the book.Even though the book deals with a lot of characters, each of them have something different to offer to the reader. Raine Thomas has written everything with such preciseness that it wasn't hard to keep up with all that was happening in Shift. It would be interesting to see how things end for everyone in Elder as the big revelation at the end of Shift had me reeling for the last book. Shift is a great book with humor, awkwardness, romance, betrayal and action all packed in together making it a page-turner of a book. Owlet begins and ends with a dream and in between, the words have a singsong and dreamlike quality to them as if they are floating inside the mind of the reader. I didn't know what to expect from Iris and her story. 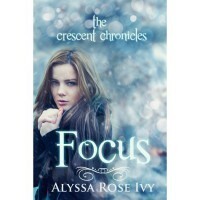 It is so unique to read a fantasy book where the main character is asthmatic, dreams of flying and has more than a subtle conscience speaking to her about the life she no longer remembers.While the reason behind Iris's memory loss is not made clear, it is clear that Iris is being protected from humans that want her dead. Humans that are have birds as half-souls just like her. Iris was supposed to have dies as a baby because of what she was thought to be. But unconditional love made her parents want to protect her at any cost and that cost was not telling Iris who she really is.Yet she dreams of an island she calls her Never-Never and flies to that island in her dreams and knows it like the back of her hand. When she finally gathers the courage to tell her father about the strange dreams, he is overjoyed and relieved. He decides to send her to the island with Diana, her caretaker telling her he'd join her soon and finally tell her the truth.On the island, which is exactly like the her Never-Never, her mind tells her that she will also find him. He who has been waiting for her to find him and in her core she really knows him. Falcon was sent to harm her but he couldn't do it and instead they fell in love as children. But then the dangerous circumstances and her memory loss made her forget him. 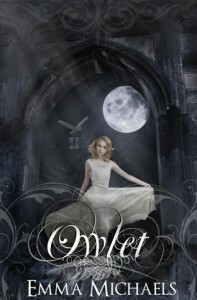 Now he is adamant to never go through the pain of her not recognizing him.Owlet is a very refreshing book in the fantasy genre. It isn't long and when it ended I wanted to go on reading about the true self of Iris and what it means for Falcon. Though we only get to read about the secondary characters for a short amount of time, they really stick with you especially Diana and Nathanial. Emma Michaels is a talented author for having written Owlet with such an open mind and embracing the concept of the Stryx. I am looking forward to read more of her work. Even though Betwixt is little over 200 pages long, it managed to stir up some very intense emotions inside me. The story begins when Nicole was out partying as usual but then things turned from bad to worse when her boyfriend Trent leaves her stranded in the middle of nowhere. More annoyed than frightened, she starts walking down the road cursing, gets hit by a car and wakes up invisible to everyone but Dale Finnegan. With no memory of what happened last night, Nicole really thinks she is doomed.On the surface, Nicole seems like the run of the mill popular, mean girl in high school who spend her days partying and staying out late at nights. She has almost convinced herself of the persona she adopted ever since Jody. The tree that Nicole tried to avoid looking at in order to forget the pain of what happened. To be mean and rude so people end up hating her which is so much easier than letting them see the damage in her.There are little revelations along the way, as the discovery for Nicole's body continues with Dale's help. Being invisible to everyone except Dale, Nicole gets to see the true face of all the people in her life. When the initial shock wears off and search efforts go futile, Nicole gets the overwhelming feeling of deserving to die. To never be found. But it's more about the journey of getting to her body than the destination. Especially when she drifts inside her body from time to time and the unbearable pain makes her realize the grave situation she is. She might just die if no one finds her in time.Dale is a unique character in the book, he has an easygoing aura around him and the fact that it's difficult for something to get to him. He might just have a scar running down one side of his face but he feels more proud of it than ashamed. No one know how he got it. He attempted to talk to Nicole before but she more than harsh with her and he finally had to let go. So when he comes across Nicole's voice in school, despite being wary of her he decides to help her.For all the time Nicole spends with Dale, she actually likes it but is afraid to admit so. Saddened by her parents initial reaction of her running away, Nicole goes through strong emotions when her parents consider the graveness of the situation as days pass. Dale and Nicole try to locate her body and find themselves more times at a standstill than they'd have preferred. However, when Nicole catches two people trying to find her body to bury her, things starts looking up.The time Nicole and Dale spend together, confiding in each other and just being together is beautiful. When Nicole gets to look at her life from the outside, she realizes how empty it really has been. And she knows why. It's heartbreaking and gut-wrenching when her parents finally realizes that Nicole is worse off then they'd believe. 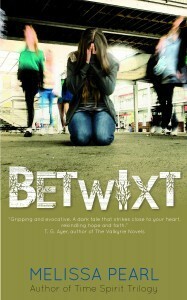 What pulled them apart is part of the mystery and same goes for Dale and his headfirst approach towards life.Betwixt is an engaging story of the time Nicole spends in between the state of living and dead. Will she survive and whether she would amend her falling out with her parents is an engrossing discovery. Betwixt is a thought-provoking book which jolts the reader's mind to question the existence and why do we choose what we choose. As the book neared its end, I wanted Nicole to have the power to survive and come out a stronger and better person than ever. Melissa Pearl has written a beautiful story of not just surviving life but living it to the fullest. "How far can you go down the wrong path before you can't get back on the right one?"